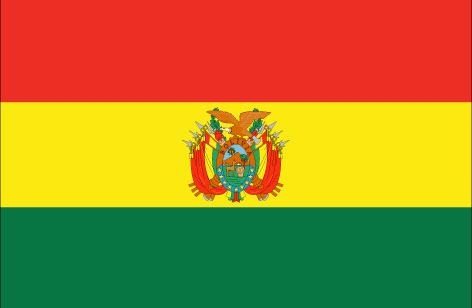 Oruro has about 100,000 inhabitants and is situated on the Bolivian Andes-plateau at an altitude of 3,700 metres. During the tin boom, which lasted from the start of the 19th Century until around 1960, Oruro was the centre of Bolivia’s economic activity. As many tin mines shut down in the post-boom years, Oruro is no longer as economically significant. High unemployment and poverty rates, the very tense social situation in the town and many people's despair lead to alcoholism and domestic violence in families that tend to have lots of children. The families often break up, which means that many children become homeless. The SOS Children's Village is located in the suburbs of the city about two kilometres from the centre of Oruro and consists of 12 family houses with an overall capacity of up to 108 children, a village director’s house, an SOS aunts’ house (SOS Children’s Village mothers in training, who assist current SOS mothers in their everyday work, and stand in for them if they are ill or on holiday) and an administrative unit. Another component of the SOS Children’s Village is the SOS Social Centre which opened in 1996 and comprises a day-care centre for up to 140 children, and a small health-care centre. Six group rooms, a treatment room, a seminar room for further education and additional rooms are available. The SOS Social Centre is also available to the public and hence makes an important contribution towards improving living conditions in the neighbourhood. Two SOS Youth Facilities (one for girls, one for boys) provide accommodation for a total of 18 young people from SOS Children’s Village Oruro for the duration of their higher/vocational education. They are prepared for an independent life step by step.